SERVE MANY- CREATE A WELCOMING PLACE! The Gwinnett Great Days of Service project will take place on Friday, October 20th from 9 am till 1 pm and volunteers are needed to tidy up the picnic area and garden and help deep clean the fellowship hall furniture. If you have never been to the Salvation Army and got to know God’s army, then this is the project for you – to see first hand the invaluable work being done. Doing the most good! Wear old clothes – you will get dirty! Project will take place rain or shine! 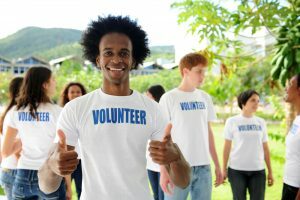 Want to learn about more projects and chances to volunteer for Gwinnett Great Days of Service? Sign up HERE!